A bunion is often described as a protruding "bump" on the side of the big toe. The visible bump actually reflects changes in the bony framework of the metatarsal bone (the long bone behind the big toe joint). These changes reshape the bone causing the bulge. Changes to the metatarsal bone also cause the big toe to lean toward the second toe. When this occurs, it further throws the metatarsal bone out of alignment, worsening the protrusion and bunion “bump.” An inflamed bunion can be quite painful, and even the roomiest shoes may be uncomfortable. Changes to the metatarsal cause the muscles, tendons, ligaments, and other components of the big toe joint to become contracted and misaligned as well. Over time, this can lead to stiffening of the joint and arthritis, with wearing down of the cartilage lining the joint surface. Bunions can compromise the alignment of the other toes causing discomfort and hampering normal activities. As the deformity progresses the great toe leans even more, often resulting in hammertoes. During your consultation, we will discuss the most appropriate treatment for your bunion and other related deformities that may have developed and the appropriate procedures necessary to achieve your goals. Bunions that aren’t painful and don’t interfere with normal functioning may be treated by switching to roomier shoes, using anti-inflammatory medications, cortisone injections and/or orthotic devices that relieve pressure and realign the biomechanics of the foot. When these steps do not offer relief and you have persistent pain and deformity, surgery may be indicated and recommended. Other indications for surgery include limitation of activities, difficulty with fitting shoes, and cosmetic concerns. Our goal is to restore alignment and function and improve your quality of life. We make every effort to have you return to shoes quickly. Most of our patients are able to walk immediately after the procedure in a protected shoe or boot and return to a sneaker type shoe at their first post-operative visit in 10 days. Your evaluation will begin with a standing x-ray of your feet, which we will analyze for the angular degree of deformity as well as the quality of the bone and joint. We will integrate these findings with your lifestyle and activity level, and draw from a combination of surgical techniques to offer the best outcome. We will discuss all aspects of the surgery and draw a detailed picture of the procedure to be done. We find that educating our patients and helping them understand how we will be helping them improves their healing and overall outcome. We perform the surgery under sedation with local anesthesia administered by our anesthesia staff at our hospital. Our patients are assured of a pain-free procedure. We use the most advanced low-profile fixation of the bone which promotes rapid healing and return to function. Our approach ensures that our patients will not experience any sensation from screws or other devices and there is no impact on metal detectors. Full and natural motion will be restored to the joint, and shoes - including dress shoes - can be worn with more comfort than before. During the procedure, your surgeon removes excess bone and shifts the metatarsal back into proper alignment which straightens the big toe. We utilize plastic surgery skin techniques to minimize scarring and as adjuncts to improve alignment. Our surgical plan for you is to facilitate your recovery with a rapid return to function with improved motion. You will go home the same day after the procedure with the local anesthetic lasting for many hours after you arrive home. Prior to your surgical date, we will provide you with a prescription for pain medication so you can be assured of a comfortable recovery. We are happy to offer second opinions and are qualified experts in corrective procedures. We are attentive to pain management for the post procedure period and most patients have minimal discomfort and are pleasantly surprised by their recovery. You will be discharged the same day as your surgery. As soon as your surgeon and the team are satisfied that you are ready to go home, we will give you a surgical shoe or boot to wear to help keep pressure off your foot. Crutches or a cane may be recommended to help in this purpose. Sometimes we recommend a cast to be worn for a brief period in order to achieve the optimal result. This will depend upon the degree of deformity and will be discussed at the time of consultation, well in advance of your surgery. Patients are able to walk around their home the same day as their surgery. Within a couple of days you will be up on your feet and out the door, as long as you take appropriate measures to protect the foot. Your first follow-up appointment after surgery will be in 10 days, at which time we will take x-rays to evaluate healing. Many patients can resume wearing sneakers at that time. We continue to monitor you over the next weeks and months and when healing is complete you can resume full sports and running, with improved function and alignment. We are available to discuss your progress and any questions you may have as we monitor your recovery. Click on a frequently asked question below to get answers from our New York podiatric specialists. A - Bunions are often genetic; we sometimes see generations of women in the same family with bunions. They may also be caused by a structural deformity of the foot, a medical condition such as arthritis, or tight-fitting shoes. Bunions occur more often in women than in men, although men do develop them. Are bunions a medical condition that must be treated, or are they corrected for cosmetic reasons? A - Bunions are a medical condition that can lead to more severe problems if left untreated. However, most patients are also interested in the aesthetic benefit of bunion surgery. A - Despite its delightful name, a bunionette is a deformity on the outside of the small toe, usually caused by pressure on this area. It’s also known as a “tailor’s bunion” because tailors used to sit cross-legged on the floor, placing pressure on the outside of the foot. 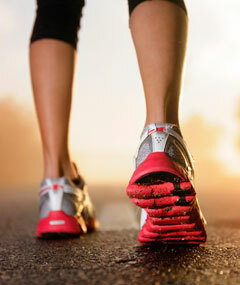 Tight-fitting shoes may be the culprit, although there is a strong genetic pre-disposition for this condition as well. What is the treatment for a bunionette or tailor’s bunion? A - As with bunions on the big toe, relieving pressure to the area may offer relief. Surgery may be recommended in cases of persistent pain or deformity. How do you know if surgery is necessary for a bunion? A - If bunions interfere with activities, are consistently painful, or the deformity is causing problems in the rest of the foot, surgery should be considered. Although some people feel that they can live with the discomfort of bunions, if left untreated bunions can lead to other problems, such as hammertoes, inflammation in the ball of the foot, or painful bursitis. A foot surgeon can further diagnose the severity of the condition with x-rays. Women with aesthetic concerns may consider surgery as well. At this time, there is no treatment for the removal of bunions other than surgery. Can you be too young or too old for bunion surgery? A - Generally speaking, the answer is no because procedures are customized to a patient’s age and condition. In younger patients, surgery is not generally recommended until the teenage years when they have finished growing. In older adults, the surgeon would determine the best procedure based on an assessment of the patient’s overall health and physiologic condition. Should you have surgery on both feet at the same time? A - Most often patients prefer to do one foot at a time. This gives the patient the support of the other foot during healing. There are cases when the surgeon and patient find it beneficial to correct both feet at the same time. This is determined based on several factors, including the patient’s lifestyle and health. Is the surgery performed in the hospital? A - Surgery is performed by a foot surgeon in the hospital under sedation and with the full complement of appropriate pre- and post-surgical staff present. A - Surgery is painless because it is conducted under sedation and with local anesthetic. The surgeon will prescribe medication to keep you comfortable during the post-operative period. Your surgeon will monitor your progress and be available for consultation as well. How long before I can return to normal activities? A - That depends upon your lifestyle and type of work you do. You can probably return to a desk job within several days. If your job or other activities require you to be on your feet a lot, you’ll want to allow more time, perhaps 4 to 6 weeks. Your readiness for sports activities and labor-intensive work will be assessed by your surgeon. Will I be able to wear normal shoes after surgery? A - The goal of bunion of surgery is to allow you to wear the shoes that you wanted to wear previously. In many cases you will be out of a surgical boot or shoe and into a comfortable, supportive athletic shoes on your first post-operative visit, which is usually about ten days after surgery. What about the new minimally invasive, no-scar surgery? A - The podiatric surgeons at Foot Associates of New York use the method that has remained the gold standard in bunion surgery. This method, combined with the latest technology, surgical expertise, and customized treatment for the patient’s age and condition, has provided the best possible outcome to correct bunions and their cosmetic deformities. Although other methods are widely promoted, there is no data that proves the long-term effectiveness of these methods, and they may, in fact, cause significant damage. Is bunion treatment and surgery covered by insurance? A - Because bunions are a medical condition that can impede normal functioning, treatment and surgery is generally covered by most insurance plans. "My recovery has exceeded all expectations. I am doing great and almost ready to do my other foot." "What to expect post-surgery was realized exactly as my doctor had described. NO pain whatsoever, swelling for exactly the numbers of days predicted, and minimal scarring. Back on my feet in record time."